Get ready for a summer of fun on or off the water with this HO Play PAD 15ft Towable Tube. 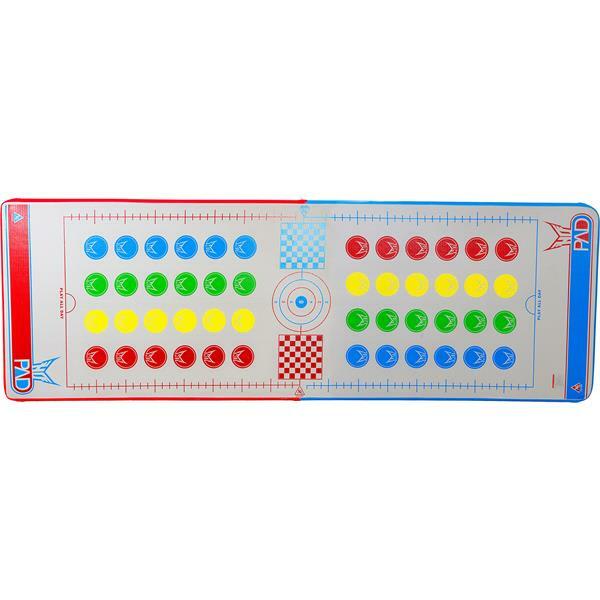 A great addition to any party, this inflatable pad features graphics printed on the top so that you can play games like checkers, bean bag toss, long jump and more whether you're chilling in the lake or on the lawn. The EVA traction pad makes this HO towable inflatable comfortable so that you can float on it in the lake all day. With D-rings, this pad can be anchored and attached to other tubes when needed. This inflatable is designed with durable drop stitch construction so that you and your friends and family can enjoy it for seasons to come. It also includes a FAD-specific pump for inflation and can be folded down easily for storage. Grab this HO Play PAD 15ft Towable Tube today so that you can host the best summer party yet.